This is a Thatcham Category 2-1 alarm system. If your vehicle has a standard Thatcham Category 2 immobiliser in the key (most UK spec vehicles newer than 1994 will have) then this alarm will give your car full Thatcham Category 1 status. 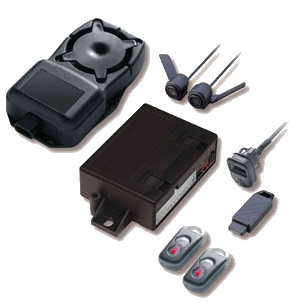 this will upgrade your vehicle standard chip in the already fitted with any Category 2 immobiliser to achieve optimum security. Award winning multi-circuit immobiliser and firm favourite with installers, journalists and motorists alike. Renowned for its ease of use, reliability and invincibility against car thiefs.